Hey guys, I want to give up a more in depth look into my ipsy bag for February 2013. 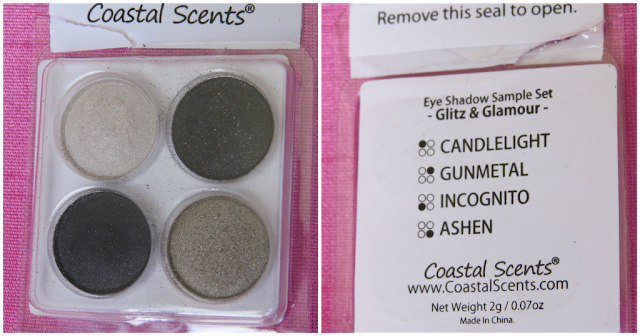 This is my first glam bag from ipsy so I am pretty excited about it :-) Here is my unboxing video post. In the bag there was this eye shadow quad from Coastal Scents and above is the look I created with it. 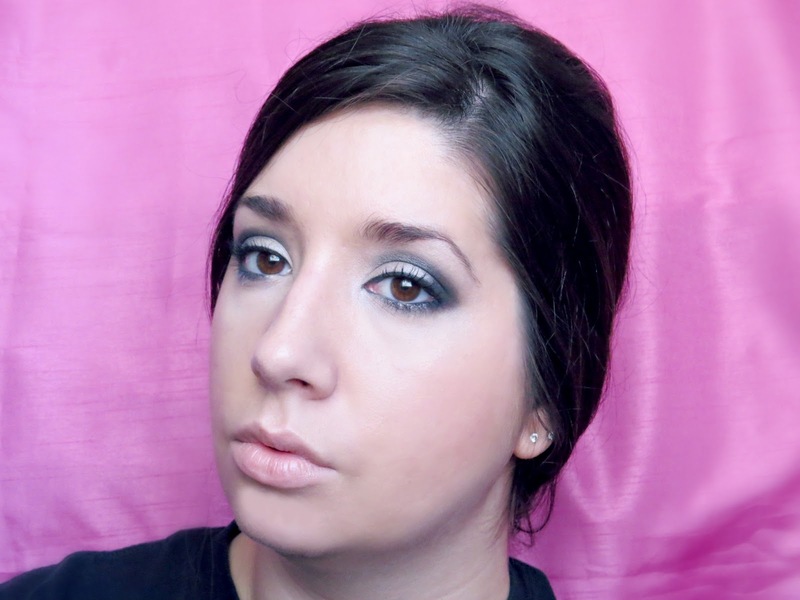 The shadows are pretty pigmented and lasted all day with out reapplication, slouching or creasing. I did use my e.l.f. 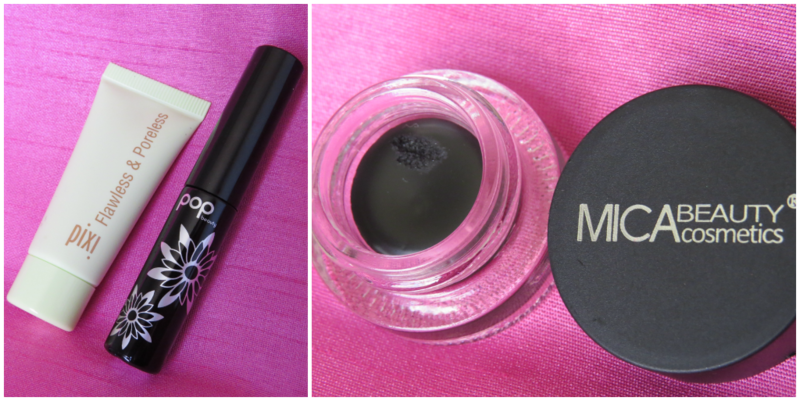 eyelid primer (like I do everyday) to aid their staying power and vibrancy. I also used the face primer by Pixi but I am not impressed with. It applied like a moisturizer and didn't soak in or dry to a matte or even semi matte finish, which is what I like about other primers I have used. It is also $28 for the full sized, a bit steep if you ask me. 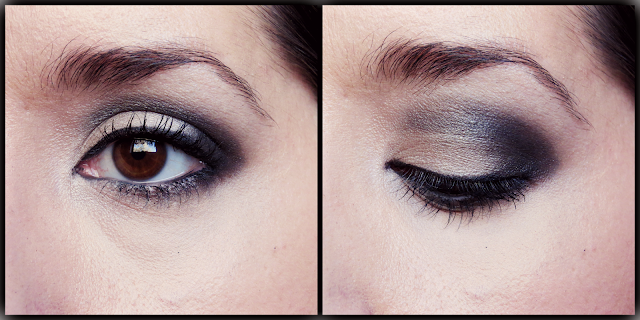 The pop mascara (also used for this look) has a simple brush and gives a light clean application. I didn't notice anything spectacular with this mascara. It didn't clump so that's good, and helped keep my lashes separated but that's about it. The Mica cream eyeliner has to be my favorite part of this months bag. It gave me a true black, crisp line with one swipe. I actually did a little experiment today and did one eye with the Mica and one eye with my Physicians Formula black cream liner, same brush same technique and I truly like how the Mica eye turned out over the PF one. Will definitely be looking into this brand, not sure how much they run though. 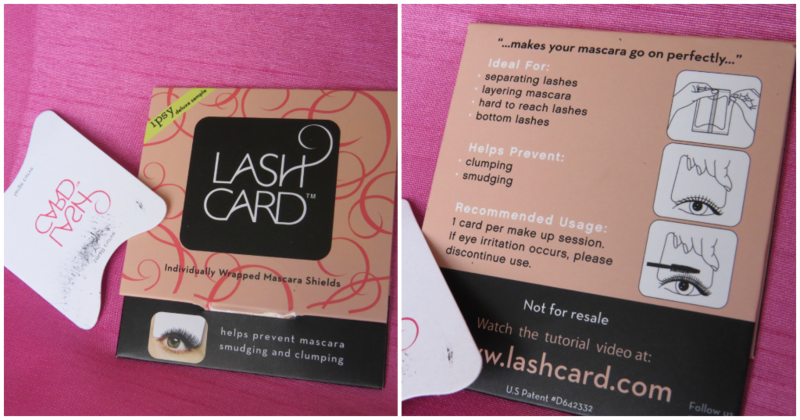 Lastly is the Lash Card. A nifty idea in theory but I think I am too lazy / in a rush / or don't have enough patience to use one every day. No special technique to it really, basically hold it between your lid and lashes and swipe on the mascara. I did find myself focusing on if I was smearing my eye shadow while holding it rather than watching how I was applying my mascara. Plus I ended up finding myself still applying the second layer without it, mostly out of habit & forgetting to pick it back up. I haven't tried to use it on my bottom lashes yet, I'll see if it proves to be more useful for that.